Roman Reigns' battle is far from over! Roman Reigns made his emotional return to the WWE just before the company's Fastlane PPV only four months after shocking the WWE Universe with the kayfabe breaking admission that he had leukemia. Whilst people assumed that Reigns got over the disease, that couldn't be further from the truth. Roman Reigns announced his leukemia diagnosis on October 22nd, 2018 and on February 25th 2019 he took to the ring again to announce that he was in remission! 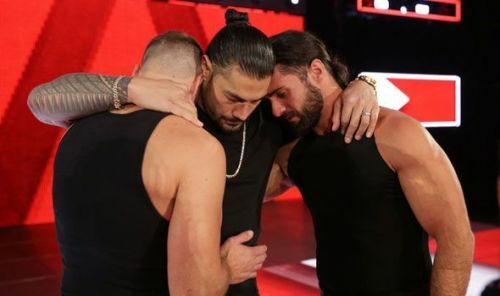 Reigns' return match was in a touching Shield reunion at WWE Fastlane where he teamed up with his brothers Seth Rollins and Dean Ambrose for 'one last time' to take on Drew McIntyre, Baron Corbin and Bobby Lashley. Reigns would go on to feud with Drew McIntyre and ended up beating the 'Scottish Psychopath' at WrestleMania 35. During Part Two [o]f WWE's Chronicle episode on Roman Reigns, Reigns noted that he will be taking oral medication to keep his leukemia at bay for the rest of his life. The fact that Roman Reigns is continuing to wrestle even though he'll be taking oral medication for leukemia for the rest of his life should be commended. Would you like to see Roman Reigns win back the Universal Title soon? Leave your thoughts in the comments section below!